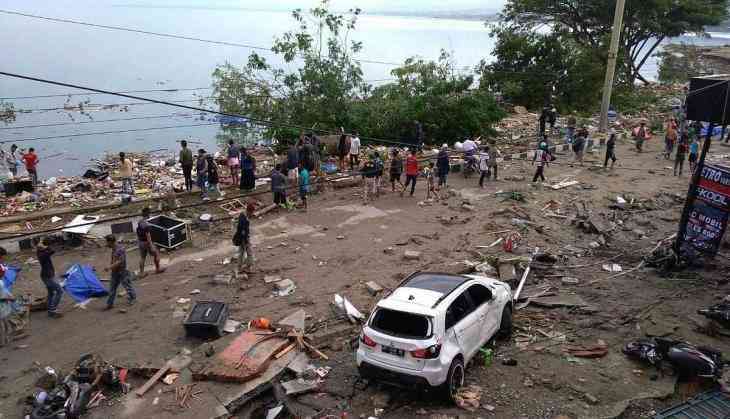 Indonesia's National Disaster Mitigation Agency (BNPB) confirmed that the death toll in the earthquake and tsunami that struck Indonesia's Sulawesi islands rose to 1,558 on Friday. A BNPB spokesperson revealed that over 1,000 people might still be missing in the region, as rescue dogs have been utilised to help expedite rescue missions. Meanwhile, the United Nations allocated USD 15 million from the Central Emergency Response Fund (CERF) to "bolster relief assistance" for the people who are affected by the calamity, said Mark Lowcock, the Emergency Relief Coordinator and Under-Secretary-General for Humanitarian Aid Affairs, in an official press release. The release further stated that the fund would help UN agencies and humanitarian organisations who are already working "to respond to key priorities identified by the (Indonesian) Government." The Under-Secretary-General for Humanitarian Aid Affairs added that the money would be utilised to help "tens of thousands of people in need", especially women and girls who are "particularly vulnerable in circumstances like this." According to a UN estimate, the calamity damaged 66,000 homes and other vital infrastructures like roads and bridges. Aftershocks are still being felt in the region as rescue missions vigorously continue. Sulawesi, an island in Indonesia, was struck by two powerful earthquakes, measuring 7.7 and 6.1 on the Richter scale, and a tsunami on September 28 causing multitudinous loss of human lives and widespread displacement.